If you are interested to find out the notable member of the family Delphinidae, check out Facts about Bottlenose Dolphins. 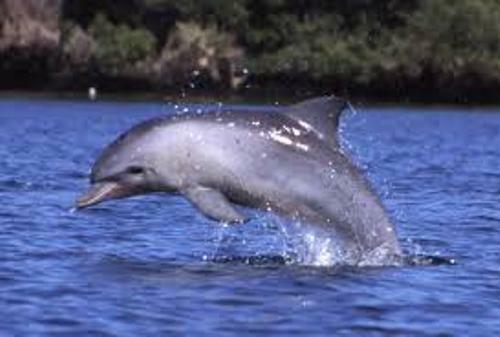 This animal is included in the genus Tursiops. There are two species of bottlenose dolphins. 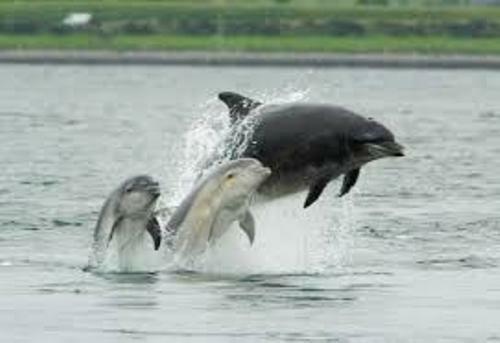 Both are Tursiops aduncus or Indo-Pacific bottlenose dolphin and Tursiops truncatus or the common bottlenose dolphins. You can find the bottlenose dolphins living in the temperate and warm seas all over the world. Bottlenose dolphins live in a group of 10 till 30 individuals. In some cases, the members of the group can reach 1,000 individuals. You can call this group of bottlenose dolphins as a pod. Echolocation is the method that the bottlenose dolphins use when they want to hunt the prey. This method is similar with sonar. The animals have the ability to find out the location of the prey by emitting the clicking sound and listening to the echos. The forage fish is considered as the main diet for the bottlenose dolphin. You can find them hunting the prey individually or with their group. The communication between the bottlenose dolphins uses sound. They can whistle or even squeak. The bottlenose dolphins also have their body languages. You can find them slapping the tail on the water surface or leaping from the water. Check facts about blue tang fish here. 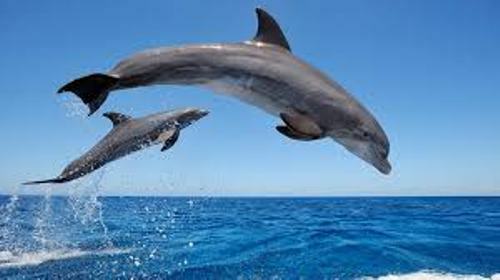 Bottlenose dolphin is considered as intelligent animals. There is no need to wonder that many scientists conducted researches on the animals. They can pass the intelligence to the next generation. 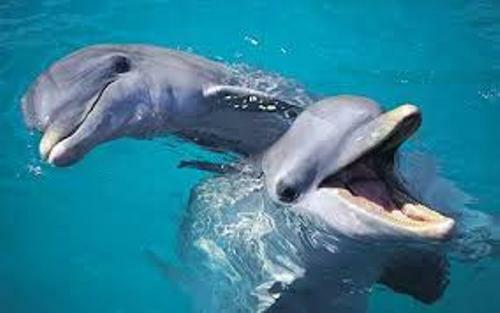 Since bottlenose dolphins are highly intelligent animals, they have great relationship with family. 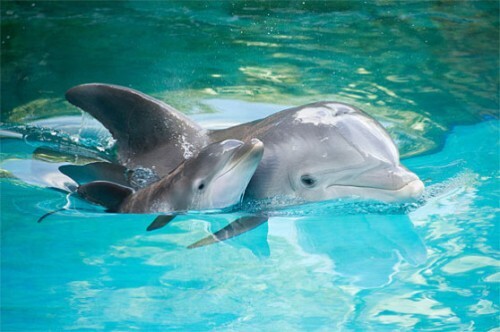 It is very common to spot bottlenose dolphins in various aquarium shows. Flipper is considered the TV programs with bottlenose dolphins. Not many people realize that bottlenose dolphins are used the military. The bottlenose dolphins are helpful to mark the enemy divers or even to locate sea mines. Get facts about bony fish here. The weight of an adult bottlenose dolphin is around 150 to 650 kilograms. It has the length at 6.6 to 13.3 feet or 2 till 4 m. The female bottlenose dolphins are smaller and lighter than the male bottlenose dolphins. Do you like reading facts about bottlenose dolphins?